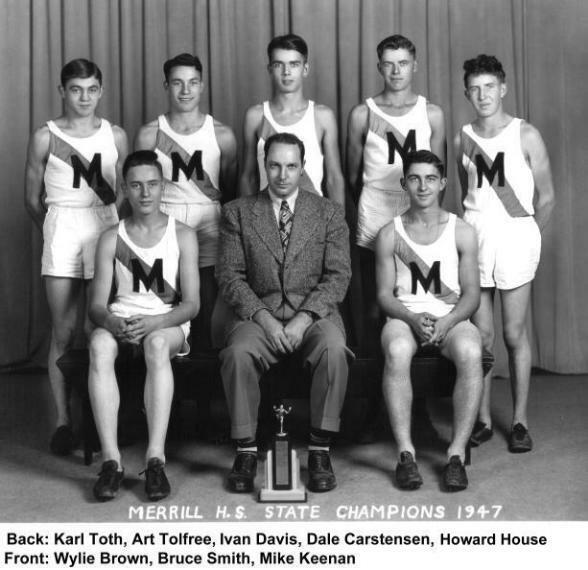 This team, under the direction of Coach Bruce Smith, not only became a state champion but also produced one of the finest two mile runners in the state, Ivan “Spike” Davis. He had the unique distinction of never losing a meet and won two consecutive Individual State Championships. The VANDALS defeated many larger schools during regular season meets.